If you were around in the late ‘80s and early ‘90s, you likely saw the re-emergence of Disney animated films. From 1984 to 1994, there was a string of instant classic films, including The Little Mermaid, Beauty and the Beast, Aladdin, and The Lion King. 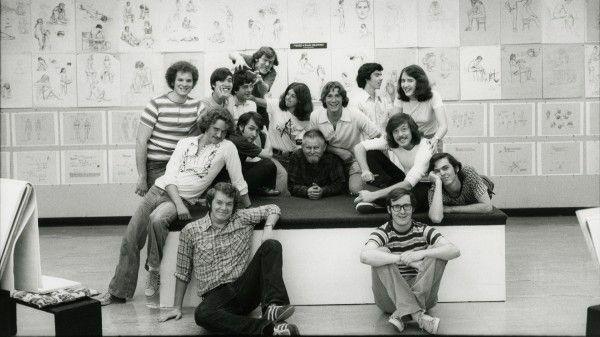 However, that success was built on the base of one of the roughest times in Disney Animation Studios history. Waking Sleeping Beauty documents the power struggles and infighting that occurred during this golden era of creativity and passion that left us with some of the greatest animated films ever made. Remarkably, no stone seems left unturned in the illuminating and emotional documentary that utilizes archival footage, interviews, and photos to piece together this look behind the scenes of Disney at the time. So hit the jump for my full review of Waking Sleeping Beauty. The documentary begins with footage of Elton John singing the intro to The Lion King’s The Circle of Life, and we are quickly introduced to the four main characters of the film. The focus is largely on the balancing act that occurred between CEO Michael Eisner, president and COO Frank Wells, studio chairman Jeffrey Katzenberg, and head of animation Roy E. Disney. Despite the fact that the animation department had its most financially successful and critically acclaimed stint in decades, tensions arose of where the credit was given and who was in the limelight. These struggles are the showcase of the film, as they use old interviews and footage mixed with new audio interviews to look back at the time. This is the stroke of genius by director Don Hahn: never using talking heads and always utilizing past footage gives an uncensored look into this tumultuous time. Hahn and producer Peter Schneider could have simply given a glowing look back at this golden era, but they provide transparency and Eisner, Katzenberg, and Disney show their flaws as well as gifts. Despite a runtime of only 86 minutes, Waking Sleeping Beauty does a tremendous job of setting the stage and bringing us up to speed on the focus of the film, providing background and context. Walt Disney Studios was in a state of flux in the early ‘80s as the animation department struggled to capture the audience it once dominated. There was an odd mixture of the old animators still working at the studio and a new influx of talent, and unease was prevalent as the future of animation as a viable medium of entertainment was questioned. This was Walt Disney Studios – built on the base of animation – and yet animation was seen as something unnecessary. The animators were moved from building to building, and left wondering about their future. Under new leadership from Eisner, Wells, Katzenberg, and Disney, a newfound focus on animation revitalized the struggling department in the mid ‘80s. That revitalization was partly led by lyricist Howard Ashman and composer Alan Menken who put an emphasis back on the musical aspect of the animated films. Ashman arises as the heart and soul of the film, and his arc in the documentary is heartwarming and powerful. His influence and creativity helped usher in three of those four landmark films, but he is not the only hero of the film. Waking Sleeping Beauty shines a light on what made this decade so prosperous and turbulent at the same time; the writers, directors, and animators are given a voice. 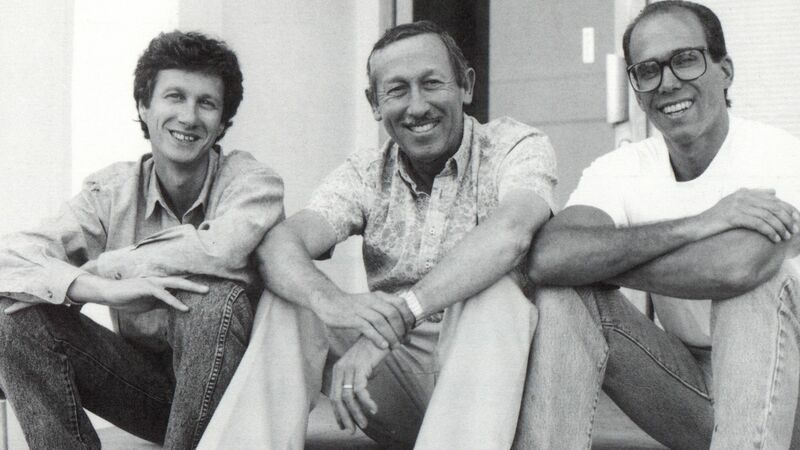 Because director Hahn and producer Schneider were working for Disney animation at the time, they knew the storylines and major players to focus on. This helps give the film a loose focus that provides shocking revelations and humorous moments while celebrating the legacy these films left. The film also touches on the live action side of the coin and other ventures; a snapshot of the studio as a whole is provided, though the central focus always remains on animation. Yet, there is much more to the DVD of this documentary than just the film itself. Waking Sleeping Beauty is packed with more than 80 minutes of additional interviews, archival footage, and deleted scenes. Normally, deleted scenes are passable but there are two incredible glimpses at Ashman that are worthy of watching more than once. We have over 12 minutes of footage from a lecture Ashman gave when he first started working with the animation studio that gives his reasoning on why he was drawn to work on animated films. Ashman’s description of what makes an animated musical work so much better than a live-action musical is eye opening and shows his genius. Another deleted scene, which was partially shown in the film, is of Ashman and Jodi Benson in the recording studio as they hammer out The Little Mermaid’s Part of Your World. Over six minutes of footage shows how intense these sessions were in terms of not just singing the lines, but performing them. Ashman was striving for a narrative in the music that took time to get across and understand, but the results speak for themselves. The feature Why Wake Sleeping Beauty? has director Don Hahn and producer Peter Schneider give their reasoning for making this documentary and the process they went through to collect the footage. There are many questions still left from the documentary that this helps answer in many ways. There are also three homemade studio tours led by animator Randy Cartwright in 1980, 1983, and 1990 that show the various states of the animation department and some of the talented people that worked there. A 15-minute piece on the Sailor (Roy E. Disney), the Mountain Climber (Frank Wells), the Artist (Joe Ranft), and the Poet (Howard Ashman) shows their influence on the various members of Disney Animation Studios. Finally, the audio commentary track provides even more insight by not only utilizing Schneider and Hahn, but also having various directors, animators, and executives give additional information and background to the stories. Overall, Waking Sleeping Beauty is a tremendous package for any fan of the Disney. That is the target audience, but even casual observers should check out this one of a kind inside look at the meteoric rise from the ashes that Walt Disney Studios went through. This is a comeback story at its heart — a celebration of the tremendous success — but also a showcase of how the surface does not always tell the whole story. Director Don Hahn dives into the murky underbelly and gives us a glimpse at underappreciated heroes, corporate struggles at the top, and the creative process that led to these tremendous films. Waking Sleeping Beauty is presented in 1.78:1 widescreen format, with a Dolby Digital 5.1 surround sound track and is in stores now.